That’s about right. In fairness, no one in the SEC was able to stop the Tide either. The Pac-12’s best this year was no match for the Alabama. The Huskies boasted an impressive defense – it held Alabama about 150 yards shy of its average per game production – but the Tide controlled the game after Washington’s second series. While the Pac-12 has made two of the three semi-finals under the current regime, there was barely restrained gushing this year that maybe the University of Washington didn’t belong in the picture; that the Pac-12 had the weakest strength of schedule and could be boxed out by a two-loss B1G favorite. Washington’s Peach Bowl performance has added fuel to that fire. Is this proof that the Pac-12 is the weakest conference? I’m in the camp that squarely sees an Eastern-centric media dismissing the strength of Pac-12 Conference play. But to be fair, I’m biased and my thesis begs the question: is the national sports media a bunch of hacks or is the Pac-12 the runt of the Power Five? Let’s look at some numbers. Washington went 4-2 against ranked opponents this year. Ohio State ultimately went 4-1 against ranked teams, but only avoided 4-2 because Penn State wasn’t ranked on Oct. 24. The Tigers’ record was an unimpressive 3-0 against the ranked teams until they shut out the Bucks. But Bama? Don’t ask (now 9-0). Of the three top 10 ranked conference title games, the Pac-12 arguably had the best optics: No. 4 v. No. 8, compared to B1G’s No. 6 v. No. 7 and Big 12’s No. 9 v. No. 10 games. Following championship weekend, the SEC, Pac-12 and ACC each have five ranked teams (B1G: 4; Big 12: 3). This bowl season has not been kind to the Pac-12 either. The Cowboys (2nd Big 12) blasted the Buffaloes (1st Pac-12 South) at the Alamo. Mike Leach’s Cougars (2nd Pac-12 North) came up short against the Golden Gophers (4th B1G West). Utah (3rd Pac-12 South) squeaked by Indiana (4th B1G East) and Stanford (3rd Pac-12 North) edged out North Carolina (2nd ACC Coastal). Washington brought the total 2-3 and .500 is the best case scenario. Not exactly a solid case for conference superiority. 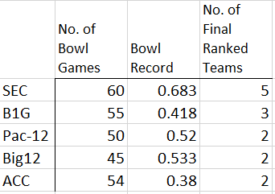 So I dug a little deeper and surveyed comparative conference results for 10 years (2006-2015) looking at three metrics: number of bowls, bowl records and the number of teams in the final AP poll. For consistency, I broke the 10-year history into two pieces: six years of the Pac-12 and four years of the Pac-10. The Pac-12, as it turns out, has a solid claim to second place, depending on how you weigh the data. During Oregon’s ascension in the final four years of the Pac-10, if the Conference didn’t look as strong it was only because it had fewer teams. This, admittedly rudimentary, history lesson suggests that the pundits haven’t bought into the Pac-12’s overall ascension past (or at least on par with) the Big 12 and B1G. (Nor, apparently, have they noticed the ACC overall has underperformed.) The conference has much to prove to the old-guard. This should be important to college football fans because, absent an actual playoff that pits annual conference champions against one another, national reputation is subjectively developed through popularity contests the polls. Nevertheless, conference reputation is the leading factor in the Committee’s “strength of schedule” consideration. Apparently, that subjective factor is powerful enough to overcome head-to-head results and a Power Five conference championship. A Decade of Results: 2006-2015. Did anyone else notice the ACC’s bowl record? So what’s the rumpus? Oregon fans are rightly excited for the new Willie Taggart era. No one has a crystal ball but few can credibly expect that Taggart’s Ducks will be competing for a semi-final slot in 2017. That won’t likely happen in a season. Or even two. Or three. But when it does, the Pac-12’s reputation will work against Oregon just as it will work against the interim conference champs. As Oregon starts its rebuild, the Big 12 has restructured its schedule to provide for a real conference championship during championship weekend. While the Big 12 won’t expand now, I’m guessing the current restructuring is the first step toward that end. But even this first step will provide grist for the anti-Pac-12 mill. Which brings me to the Pac-12’s obvious shortcoming against the other bifurcated Power Five conferences: it has 12 teams. Recent history suggests expansion worked. First, simple math: more teams, more bowls, more exposure. A 14 company regiment is stronger than 12, just as 12 is stronger than 10. My own crystal ball foresees that the Big 12 will decline until it grows itself back to 12. 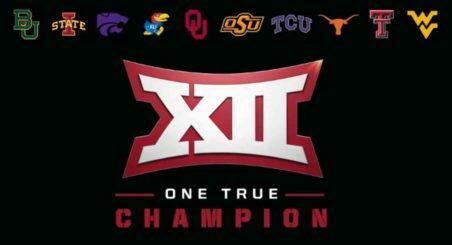 Exploiting that weakness will not only allow the conference to grow recruiting and poach Big 12 (and national) talent, but improve national reputation. Second, adding two more teams expands the conference’s fan-base. This is important because we fans are the pundits’ customers: increased fanbase and exposure will impact reputation. Third, adding programs expands recruiting opportunities: more teams, more scholarships, more athletes. 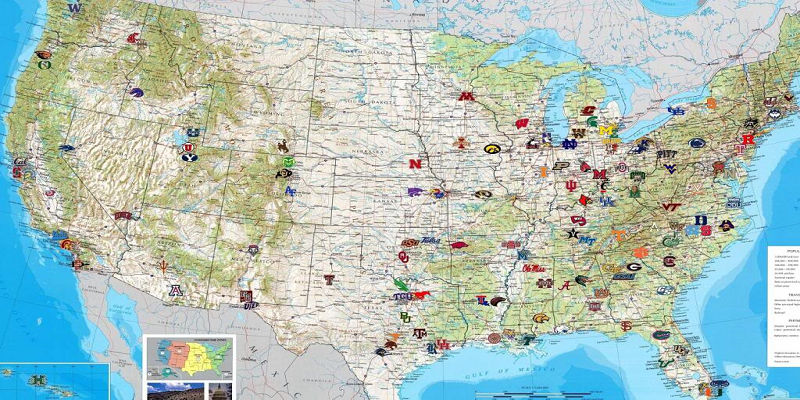 More importantly if done strategically, expanding the conference’s reach naturally expands recruiting sources. To be fair, there is no shortage of talent close to home. BYU would make a great addition and cement a solid conference rivalry game. Boise State has consistently punched above its weight and would strengthen the Pac-12 with its roster and grit. These are solid points: looking to add the best of the best – BYU is the last non-Power Five champion for example – is an inherently sensible move for the Conference of Champions. But from a strategic recruiting perspective, adding another Utah school or Boise State, sitting cozily next to the Pacific Northwest, does nothing to grow the territorial reach of the conference. 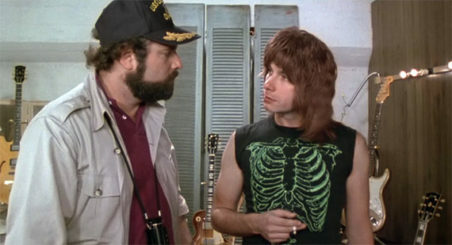 The Pac-12 has the NW, the Pacific Islands and California recruiting locked down pretty securely. Just as Taggart fans see a new Eastward recruiting edge, the Conference of the Pacific itself should focus on chiseling into the competition’s talent. A strategic expansion eastward would do just that: force the conference eastward toward the promised lands of the corn-fed hogs of the heartland and beef-fed lads of Texas. As good as BYU and BSU are, strategically targeting the Universities of Wyoming and New Mexico to alleviate the Colorado salient and push into unclaimed Power Five territory looks attractive. 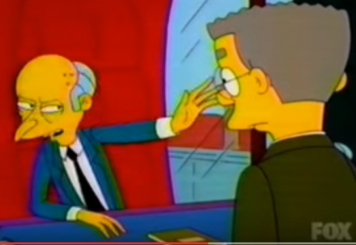 Slow down there, maestro. There’s a New Mexico? It wouldn’t work magic overnight. First, neither Wyoming nor UNM would likely be competitive for a few years. It took Utah and Colorado six seasons to compete at the upper level of the Conference. But a long-term view has merit. One step closer to West Texas, Nebraska and Kansas, in the long run, will pay-off. New regional talent will get the opportunity to compete for additional Power Five scholarships and play against the Conference’s biggest names like USC, Stanford, UCLA, Taggart’s new Duck’s and Chris Peterson’s Huskies. Given the unanimous Big 12 vote against expansion, there is likely little merit in another attempt at immediately poaching Texas or Oklahoma schools. Incremental expansion may bridge that gap and segue to a 16 school conference that includes Texas territory. Lubbock, after all, is just about an hour from the New Mexican border.